The majority of waste water generated by residential dwellings and commercial units in urban areas in the developed world is discharged directly to a public sewer, which transfers it to a municipal sewage treatment plant. However, for many residential and commercial applications (e.g. rural dwellings, hotels, and country clubs) discharging to a public sewer may not be a feasible option, due either to the location of the development or to the fact that the current sewer system may not be able to handle any more sewage / wastewater. In these cases it is the responsibility of the proprietor / site engineer to select and install an appropriate waste water / sewage treatment system designed to suit the specific needs of their residence / business. Below is a brief description of some common types of treatment plant available on the market today. There are many different types of waste water / sewage treatment units and systems available on the market for domestic or commercial use. All varieties of treatment system have their advantages and disadvantages, but in recent years Sequencing Batch Reactor (SBR) systems have become an increasingly popular choice for engineers, architects and home-owners alike. Sequencing Batch Reactor systems are designed to be highly cost effective, energy efficient and versatile. SBR systems treat the waste water / sewage in batches. 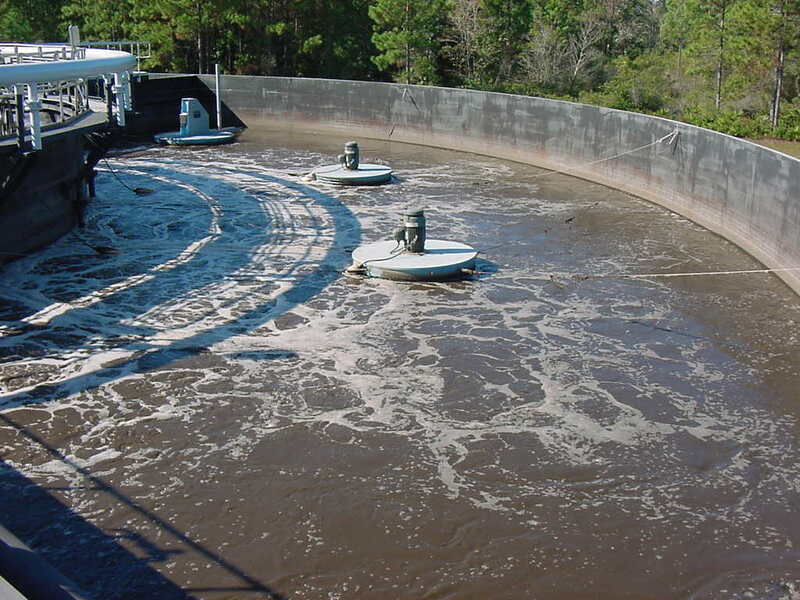 Each “batch” of waste water undergoes a cycle of treatment stages (e.g. Filling, Settlement, Reaction) and is then discharged to the percolation area. Once this cycle is complete the SBR system goes into a “stand-by” or “sleep” mode until the next batch is ready for treatment. The SBR treatment process is highly effective at treating variable volumes of waste water, making it very suitable for seasonal applications (such as holiday homes) as well as hotels/guest houses. Another common type of treatment unit is the Rotating Biological Contactor or RBC system. (2) The volume on the incoming wastewater. Advantages of RBC units include: Generally fairly low power consumption and a capability of handling a wide range of flow rates. The main disadvantage of the system is the relatively high amount of mechanical parts that can potentially break down and/or require maintenance. Another common type of treatment system used in domestic applications is the Biological Aerated Filter (BAF) system. BAF systems consist of a tank containing a large quantity of small-particle media which becomes colonised by biomass (the small particle size means a larger surface area for biomass colonisation. The media is arranged in a bed and the wastewater is either allowed to percolate downward or is pumped upward through it. Air bubbles are then sent through the submerged media, usually by the means of a diffuser connected to an air blower. This air supply helps the colonisation of the media by aerobic bacteria. The media must occasionally be backwashed to clear out any accumulation of solid waste particles throughout the media. The primary advantage of Biological Aerated Filter systems is their relatively compact nature, which makes them suitable for applications where space is a limiting factor. The main disadvantage of the BAF system is the relatively extensive use of automated valves in the system, which may lead higher maintenance costs.